The Indian Budget announcement on March 16 provides an opportunity for the government to give clarity to domestic and international taxpayers on a range of key policies, such as the progress of direct and indirect tax reform. Will the Direct Taxes Code still be implemented from April 1 this year? Or will the government postpone it but extract key provisions such as advance pricing agreements and place of effective management and put them in place now? And what is the government’s thinking on the Supreme Court’s Vodafone decision? Will it introduce legislation to tax similar transactions? 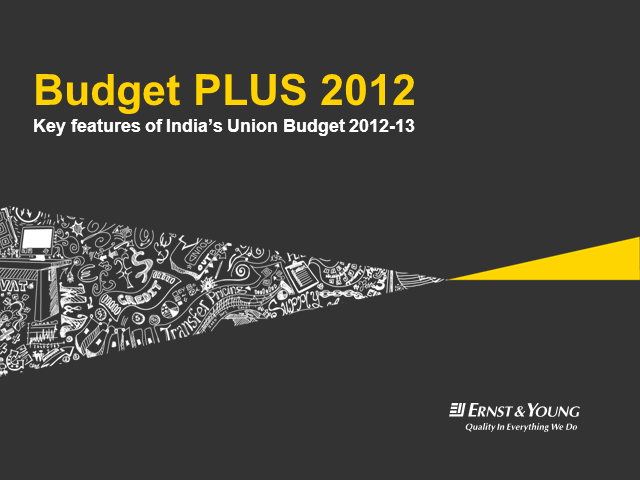 In this web seminar, Ernst & Young specialists and guests will give the insight you need on these issues and the others that will arise in the budget announcement.